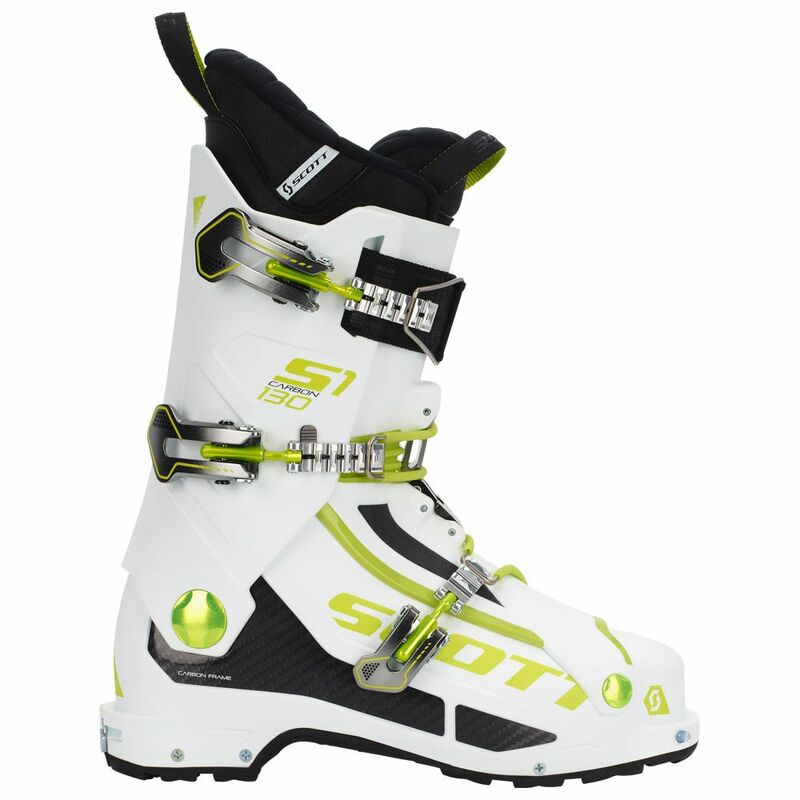 Brand new for 2018 Scott-Sports new super lightweight ski touring boots combines excellent touring functionality with powerful skiing support. With the stiffness of a boot twice it's weight the S1 can drive anything from light touring skis to wide all mountain chargers with ease. Though they are light, Scott haven't skimped on the liner with a high quality well insulated inner that has a great out of the box fit. Using a new ski / walk system the S1 requires just a single unclip of a buckle and it drops into walk mode. These are an excellent medium/high volume boot for people wanting lightweight without compromising the performance.